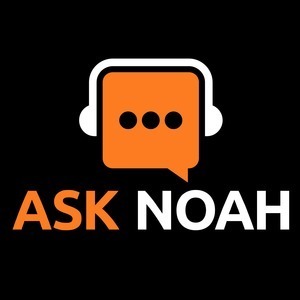 We found 10 episodes of Ask Noah Show with the tag “ask questions”. On this special edition of the Ask Noah Show we saw people looking for what they need to know about the latest Intel bugs, Meltdown & Spectre, so we break it down. Plus we take your calls, talk about your War Stories & what you've seen in the field! This week on the show, we talk about Alt Coins and how Bitcoin ceases to be a viable concurrency for day to day operations. We take your calls, plus we include the Mumble room! This week on show we do something a little different. The phone lines are open but we're taking calls about relationships, religion, politics, diet, life choices. Anything you can think to Ask Noah he answered in this special Christmas episode. This week we take a dive into what it takes to break into a network. We wrap by telling you what you need to know to stay safe. Plus your calls & our answers! Note: There were some hardware issues out of our control this week, so the audio is below par. This week we talk about Bitcoin and other cryptocurrencies. Should you invest? Should you look at other alt coins? This week we lay out out plan to create a master list of Linux Distros! Which one is best? For what purpose? You tell us! Join us for a special episode of the Ask Noah Show, where we talk about our IT war stories. This week we take a break from the phones and bring on Wendell Wilson from Level 1 Techs! With Logitech bricking one of their hardware products do you really trust the cloud? Is there an alternative messaging platform that you can self host? What's the cost? Some say it's as low as $25 one time fee. This week we dive into communications. Plus an interview with snapshooter.io and your calls.